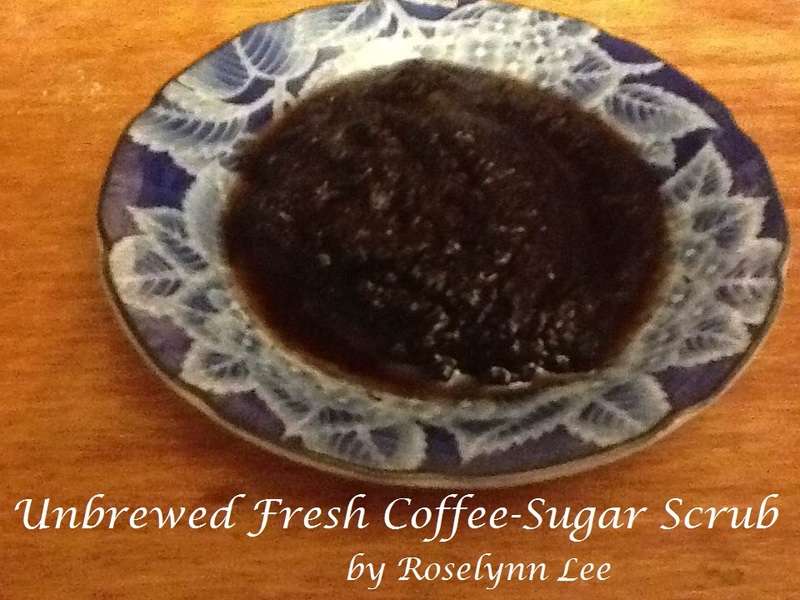 Special Guest Blogger Roselynn Lee has agreed to share one of her island recipes with Natures Home Spa readers today. I call it her island recipe because Roselynn IS an island girl. keep that healthy natural glow! Well, thanks Anna for allowing me to partake in this awesome blog. Being inspired by Anna, I decided to make a coffee scrub. coffee I was amazed that it did more than pick you up in the morning! Let's talk about our main ingredient and how it can make a powerful impact on your skin and health. Coffee is great smelling and relaxes the brain. It clears ones thoughts out of their head, an anti-depressant, and it helps prevent nausea. The coffee helps fatigue after exercise. So, that's why I don't brew the coffee. I want to take advantage of that strong coffee aroma and the caffeic acid that adds all these positive side effects. So add freshly grounded as possible. A study showed that caffeic acid found in coffee grounds can significantly affect anti-inflammatory activity and skin wound healing. So, since we are talking about wound healing, lets talk cellulite! HAHAHAHA! Yes, ladies, lets call it a wound since it hurts to see it ! Because of the salts, sugars, and the coffee's rough texture it exfoliates all the dead skin and it helps aid in massaging the body It increases blood flow, pushing toxins out of the fatty cells, decreasing the appearance of cellulite. Plus, with all the dead skin gone, you are glowing! 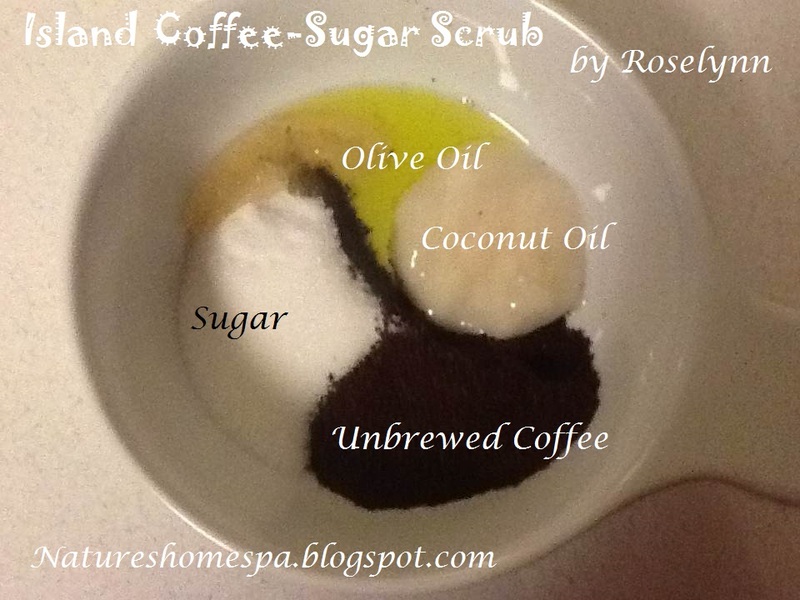 Get this, the coffee gives a hint of brown to your skin when you rub it on. The olive oil, honey and the coconut oil will leave you smelling like a warm Polynesian night during harvest. The main natural chemical in coffee is caffeine, a natural antioxidant. Antioxidants have many benefits, including heart disease and cancer fighting properties. Antioxidants also neutralize the effects of free radicals, which can damage the inner layer of skin. This damage is often reflected in age spots and wrinkles. When a coffee body scrub is applied, the skin absorbs this antioxidant and can help prevent premature aging. Caffeine is a vasodilator, which means it constricts blood vessels in the skin. This action works to make blood vessels tighter and firmer very quickly, which is reflected in your skin texture. So, you can say bye-bye to those varicose veins. So, let me give you my shower experience. As I applied the scrub to my body, the aroma overwhelmed me and I was relaxed. The texture was so pleasant, and rough enough to be gentle at the same time. I applied it so thoughtlessly. Instantly I can see the water repelling against my skin because the coconut oil was sealing my skin to lock in moisture from the olive oil, and shined because of the golden honey. My skin was SO indulged by this compound that I didn't even need a lather while shaving my legs. By my surprise, while I was shaving, I was shaving more dead skin off my legs after I tapped the shave stick. I figured, lets go to town! My skin looked great. I smelled great, and the coffee did it's job. Plus, you just rubbed caffeine into your body, so you can literally jump into action and start your day! This sounds divine Roselynn, thanks for sharing ! Thanks Anna. Hope eveRyone will enjoy!! People from the islands and especially island girls have good skins and these scrubbers are like a natural gift from the God. Thank You Jab and Glan. . Yes I have very nice skin. I GREW UP ON COCONUT oil in my food. We boiled everything in coconut milk.When I.was a baby every night for years parents rub coconut oil from the islands on to my body. and just adding the coffee is just sensational. I can't wait to try this. Can I use flavored coffee in my scrub? 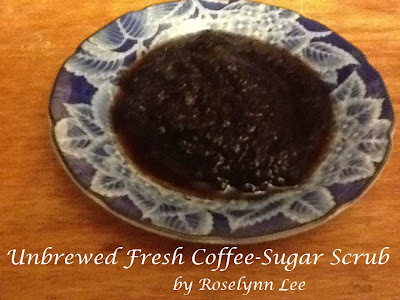 Yes, Hagenjoye, you can use flavored coffee grounds in your scrub! Yum!